Helm – Helm is a package manager that provides GO based templating framework for the YAML files. Helm has a concept of charts where each application is packaged as a chart and you can use this chart to deploy an application. The disadvantage with Helm, however, is that you need to install a server component called Tiller and also Helm charts might get complicated especially when you need to maintain multiple environments. Kapitan – Kapitan is another template based configuration management tool for Kubernetes. You need to create jsonnet files to create the YAML file and use jinja2 based templating. Kapitan has a high learning curve, since you need to learn jsonnet and jinja2. kubecfg : kubecfg is another jsonnet based configuration tool for Kubernetes deployment. Kustomize – We will talk about Kustomize in this article. Ability for each environment to be in its own repository. I would be good if the files for the different environments can be separated into different projects so that a user has only access to a particular environment. Kustomize allows us to do all of the above. lets look at Kustomize now. Kustomize is a project part of the Kubernetes SIGs and it can be used to specify configuration for Kubernetes deployment in a very simplified way. It does not use templates but still allows separating out configuration for the various environments and maintaining them as code. Kustomize allows maintaining a base set of files and a special file called kustomization.yaml that combines the base files and applies common logic to them to create a single deployment manifest. The common logic could be adding labels or create configuration. 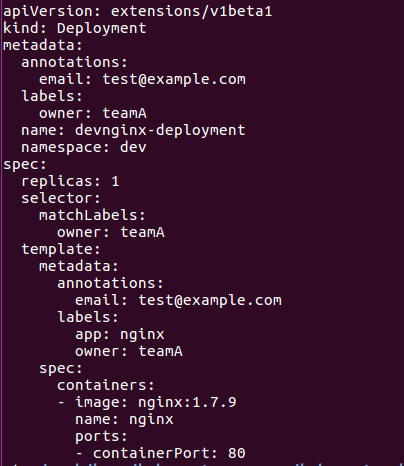 The files nginx-deployment.yaml contains deployment configuration for the nginx server. Here’s how it looks. 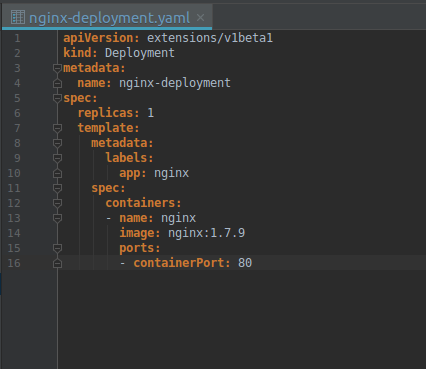 Combines all the yaml files that are required for this installation. Adds additional values such as labels and annotations. The ‘resources’ section tells which files are included in the final manifest. namespace: dev is added to each object in the files included in the resources section. namePrefix adds the prefix ‘dev’ to each name. commonLabels adds the label ‘owner: teamA’ to each object. Similarly CommonAnnotations adds an annotation to each object. ConfigMapGenerator is used to generate a configMap. 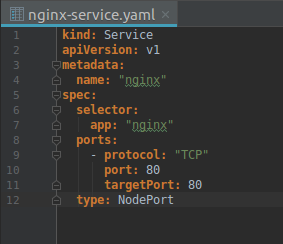 In this case we are generating a configMap called nginx.conf from the config/nginx.conf file and app.home that contains the variable APP_HOME=/opt/app. 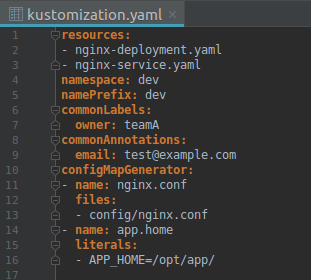 This will combine the files, add the additional values as specified in kustomization.yaml, create the configMaps and then generate a combined file. This finishes the first article in the Kubernetes kustomize series. In the second article we will look at how to use kustomize to create multiple environments.